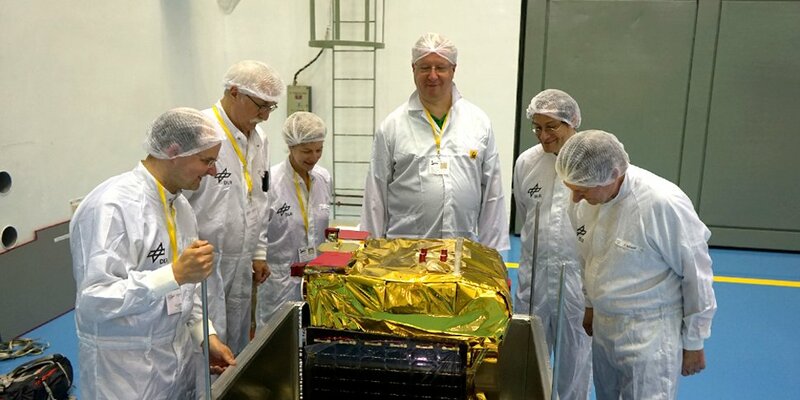 A first communication between the microsatellite BIROS and the control center of the German Aerospace Center (Deutsches Zentrum für Luft- und Raumfahrt, DLR) in Oberpfaffenhofen took place on June 22, 2016. BIROS departed from the Indian spaceport Satish Dhawan Space Centre onboard a PSLV (Polar Satellite Launch Vehicle) rocket and was separated from the rocket at 507 kilometers. Fraunhofer FOKUS developed the control computer as well as the operating system for the small remote sensing satellite. BIROS (Berlin InfraRed Optical System) is a microsatellite for the early detection of fire. Together with its companion satellite TET-1 (Technologie-Erprobungsträger, Technology Experiment Carrier), BIROS sets up the mission FireBIRD (Fire Bispectral InfraRed Detector) in order to early recognize fires from space. Sensitive multispectral camera systems with various spectral ranges, working with infrared and in visible light, are used for achieving this. Not only forest fires, but also volcanic activities, gas torches and Industrial hotspots are to be observed. Thanks to the satellite tandem BIROS and TET-1, it will be possible to localize fire even with a low intensity on a reliable basis. Thus, accurate predictions about the extent of fires will be possible. Fraunhofer FOKUS developed for TET-1 as well as for BIROS not only the control computer, but also the operating system. Hence the computer was already tested successfully in the TET-1 mission, it was also used for BIROS.